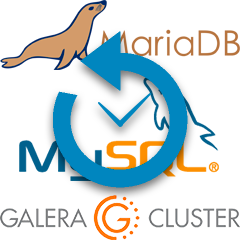 We sat down with Severalnines Senior Support Engineer Krzysztof Książek to discuss the upcoming webinar MySQL Tutorial - Backup Tips for MySQL, MariaDB & Galera Cluster. ClusterControl provides you with sophisticated backup and failover features with a point-and-click interface to easily restore your data if something goes wrong. These advanced automated failover and backup technologies ensure your mission critical applications achieve high availability with zero downtime. Learn more about the backup features in ClusterControl for MySQL here.